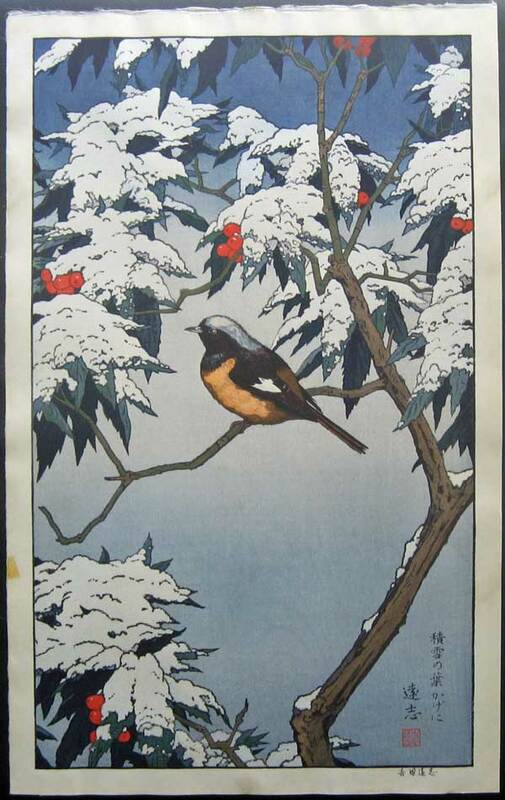 Among the Toshi Yoshida works commissioned by the Franklin Mint is the “Birds of the Seasons” series. 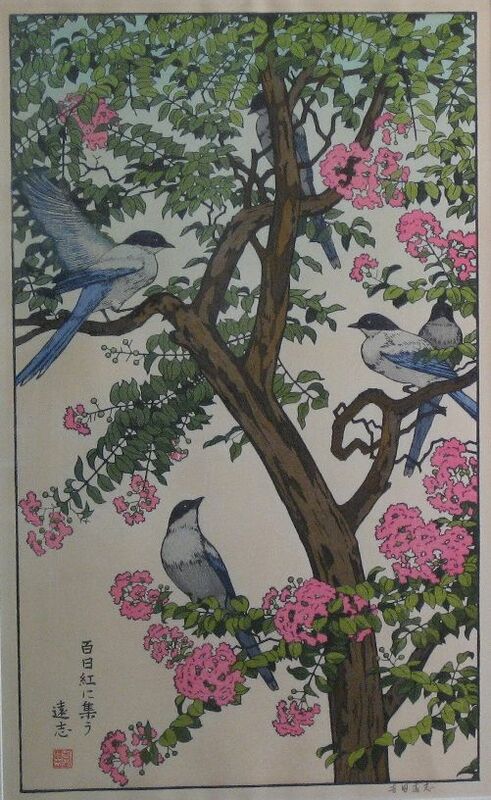 Each of the four prints in the series is oversized (around 12″ x 20″ in printed area) featuring birds in trees reflecting the relevant season. 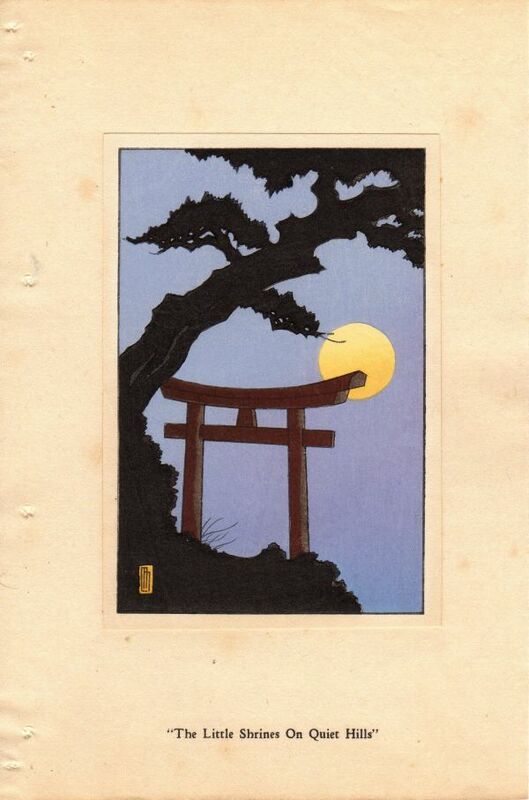 I believe the prints were available framed in teak with rounded corners and acrylic ‘glass’ or unframed. As with the other series produced for the Franklin Mint the materials used for the mat, backboards and mounting tape are not usually of museum quality so the prints offer suffer damage as a result. I recently purchased Winter so now own all four prints from the series which are shown on the following woodblock print gallery pages. 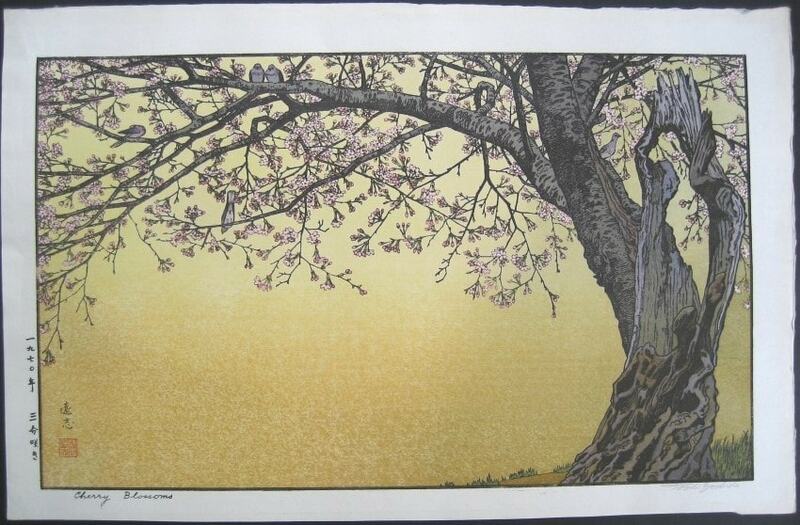 “Spring” is titled Hakubai ni Mau which translates as Flying around the Plum Tree. 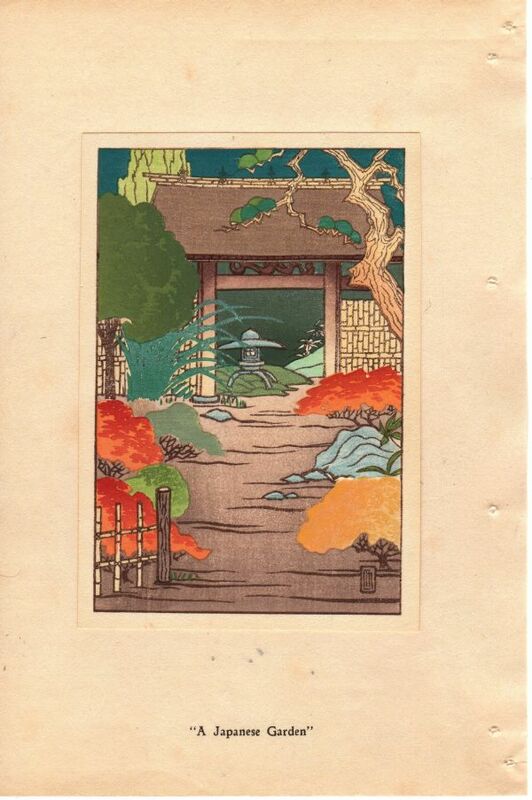 “Autumn” is titled Momiji no Yasuragi which translates as Serenity of Red Maple. “Winter” is titled Sekisetsu no Hakagei ni which translates as Sitting Under Snow-covered Leaves. I have the entire 4 picture set. I am reluctant to break up the set, but would be interested in selling. Contact me if you wish. Thank’s for getting in touch. I’m not after the set but if anyone spots your comment and enquires about them I’ll refer them to you. Do you still have the group available and what are you asking? 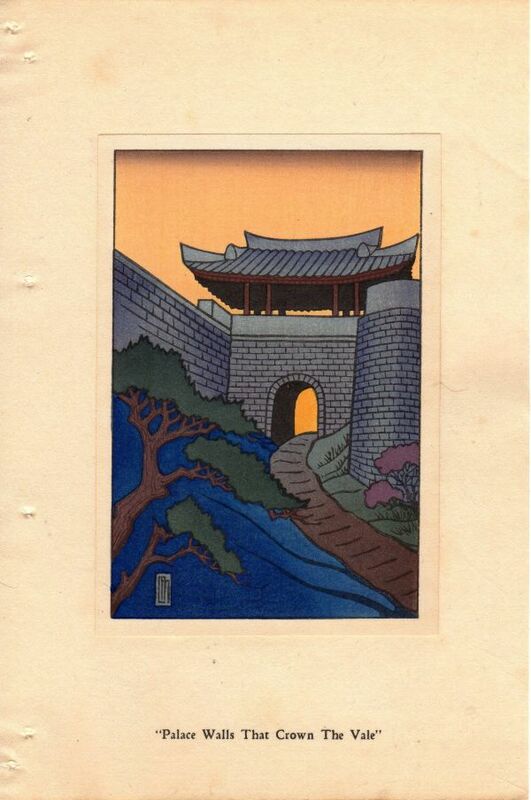 I was pleased to find information regarding Toshi Yoshida & his prints sold through Franklin Mint. I have all 4 “Birds of the Season” prints that my parents purchased through the Franklin Mint in the late 70’s early 80’s. 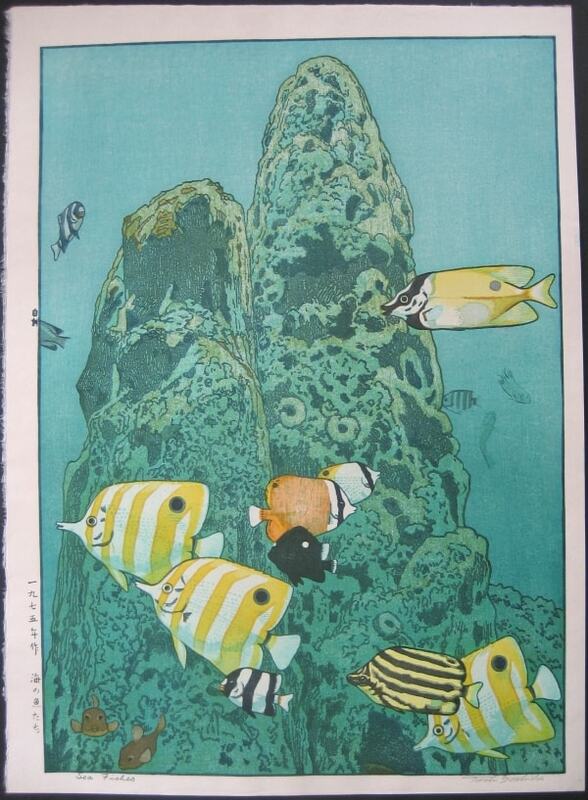 I also have the “Friendly Garden” series & several other Japanese art prints all sold by the Franklin Mint. I would like to sell both the “Birds of the Season” & “Friendly Garden” series. 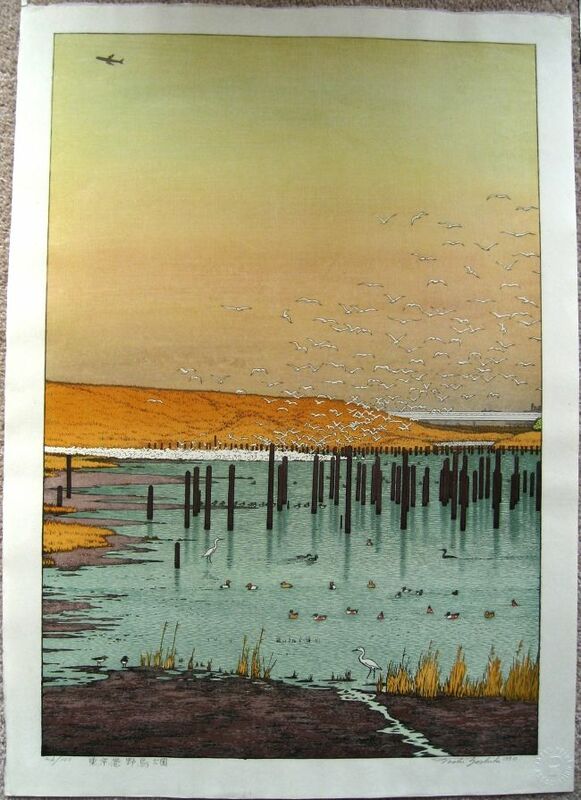 I am posting the “Birds” series on eBay today with a “Buy it Now” price of $800/set. My parents paid $600 for the set in 1980. I would appreciate any advise you could give me and I thank you for the valuable information I learned from your web page.